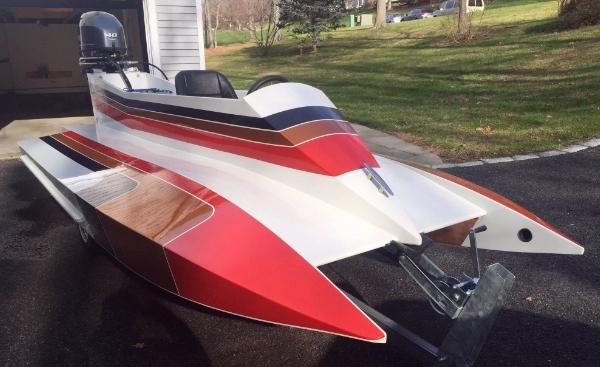 The Laker SC12 was designed specifically for Sport C class racing. However, its 12'+ length and deep, bouyant stern sections make it suitable for heavier, more powerful motors in the 150 to 180 lb. range. Filling the gap between the Dillon Pro Tunnel and the Laker 14, the Laker SC12 should work very well with the smaller 3-cylinder motors, the large twins, and even a small 4-cylinder motor like the classic Merc 500. I hope to build my own Laker SC12 for Sport C racing in 2015 or 2016. Meanwhile, I have created Construction Notes for the SC12 by adapting the Sport C and Laker 14 Notes. As my own building project progresses, I will update the Notes as needed. I recommend 3mm plywood for the deck and cowling deck, and 5mm or 6mm plywood for everything else. You can't go wrong using okoume marine plywood, but exterior will work as well, especially the 5mm luan available wherever (in the US, at least) lumber is sold. NOTE: Make certain that you are buying truly exterior plywood, made with waterproof glue, not the "weather resistant" stuff they sell at some of the big home centers. Many will insist that marine plywood is the only choice. But though I've seen failures in exterior plywood, I've seen virtually identical failures in marine. Exterior grade plywood requires good structure (stringers and bulkheads) behind it, but I would stipulate that marine plywood calls for exactly the same. That said, okoume marine plywood is very nice plywood. But you can save several hundred dollars by using locally available, exterior grades. It's your choice. 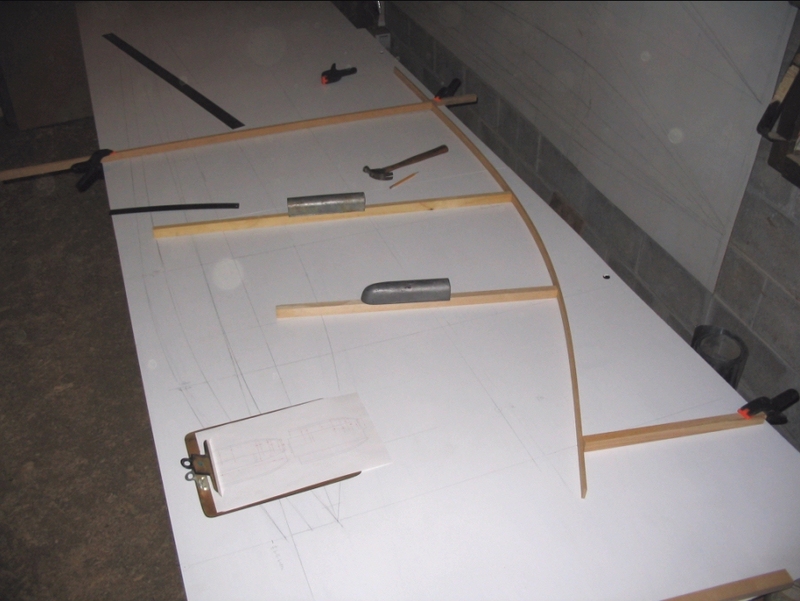 The plans package, available via direct download or by postal mail, includes 17 measured drawings; a scantling list; and some notes on wood, hardware and other materials needed to complete your boat and set it up for recreational boating or sanctioned racing. Also, I provide extensive online construction notes, including dozens of photos, which will guide you through the entire building process. And, I will be just an email away if you have questions.